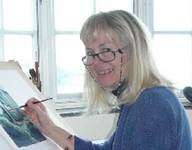 Phillipa Bowers is an artist and writer who lives in North Cornwall. See some of her sculptures and notes about her books at her website. The loveliest image in Phillipa Bowers’s The Secrets of the Cave is the form of a woman, carved into the rock of the cave by the flow of the spring waters. At her feet, the pure water gathers in a pool lined with pink and red crystals. The water looks blood-red because of those crystals. The Lady in the cave is never described but frequently evoked in this book, which follows a young woman in England from 1930 until the end of World War II. The Wise Woman’s Tale — (2007) Young adult. Available from Audible Publisher: Kate Barnes is 14 years old when she first experiences the strange gifts she has inherited from her grandmother’s side of the family. She has a vivid waking dream, a memory of an earlier life centuries before when she was murdered by an angry mob who believed her to be a witch. Her grandmother decides the time is right to reveal to Kate some family secrets, including the ancient cave that houses the family tomb. Just as Kate is learning to develop her second sight, her education with her grandmother is interrupted when her father insists she return home. He is determined that Kate forget her grandmother’s teachings and get a job in order to help support their growing family. 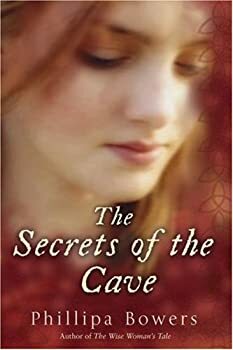 But nothing will keep Kate from her destiny: to take her grandmother’s place as local wise woman and guardian of the mysterious cave.